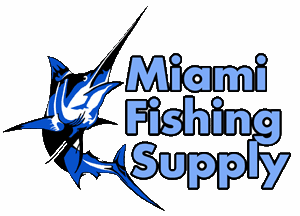 Advance Fluorocarbon Leader Miami Fishing Supply, complete selection of offshore fishing tackle, marine electronics and boat supplies. 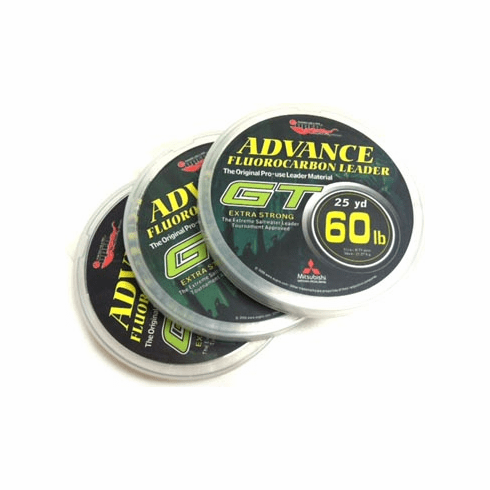 Home | Leaders, Leader Wire, Cable & Accessories | Advance GT Fluorocarbon Leader - Most Affordable Fluoro on the market! 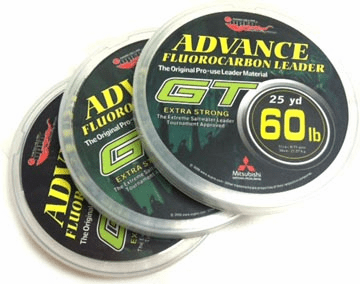 Advance GT Fluorocarbon Leader - Most Affordable Fluoro on the market! Made by Mitsubishi of Japan, UPRO Advance GT Extra Strong is one of the most affordable fluorocarbon fishing leaders on the market today. Virtually invisible under water for more strikes. 100% UV Resistant and waterproof. Perfect for salt and freshwater fishing. Superior tensile strength, knot strength, low stretch. Extra flexible, super smooth with abrasion resistance, small diameter. 25 yards per spool.